Last year, thanks to stratospheric rises in value, lots of people became aware of the existence of Bitcoin, as well as another often-cited up-and-coming cryptocurrency, Ethereum. By market cap they are the two most valuable cryptocurrencies – as of writing (and please note that these numbers fluctuate quite a lot), the total value of all the Bitcoin in existence is $143 billion, while Ethereum sits at $88 billion. For perspective – that means Bitcoin is currently held at around the same value as Unilever, whereas Ethereum has around the same market value as Starbucks or Walgreens Boots Alliance. I know that you can’t really compare a digital currency to a company but it gives some perspective. Also, before we go any further I just want to reiterate that investing in cryptocoins or tokens is highly speculative and the market is largely unregulated. Anyone considering it should be prepared to lose their entire investment. While to many Bitcoin and Ethereum are both simply examples of cryptocurrencies – digital money transfer systems which use blockchain technology and encryption – there are subtle differences in how they work and what they can be used for. If you are looking to invest for speculative reasons, or even more so if you are considering using either platform for business – it’s important to understand those differences, because they could be the deciding factor in which coin (if either) goes on to become a widely accepted standard, and which will disappear into obscurity and worthlessness. So, starting with the basics – cryptocurrency is a term that has come to be used to identify a newly emerging asset class. In some ways it is a slight misnomer – currencies are stores of value which we can use to purchase goods or services, and most cryptocurrencies cannot yet be exchanged for anything, other than other cryptocurrencies. So, while not currencies in the strict sense – they are certainly assets, as they hold value and can be sold for dollars, pounds and euros. Much like gold – which not everyone will accept in trade, but everyone agrees has a value. Unlike gold, however, cryptocurrency exists only in the digital world. So, how can we trust it is real? Well, basically, cryptocurrency stores value via mathematics. A simplified way of looking at it is that each cryptocurrency (and there are over 1,000 of them) is a very complex algorithm. The output of each algorithm tells us who owns each unit of that particular cryptocurrency – and is known as a blockchain. Bitcoin was the first success at creating a blockchain-based currency (or asset) which beat the double-spend problem inherent with digital assets. Digital data can be replicated and distributed indefinitely – so how do you stop people simply “copy and pasting” themselves more money? It overcame this issue in two ways – encryption, and distribution. The use of public and private key encryption means that although all the transactions on the network are public (essential for verification purposes), only those with permission can edit the data on the parts of the blockchain where they are authorised to do so. Simultaneously, its distributed nature – the fact that the blockchain algorithm is running on not just one, but potentially millions of machines – means that consensus must be established before updates to the blockchain are accepted across the wider network. In other words, if I take the data representing my five bitcoins and copy and paste it to give myself 10 bitcoins, it won’t work – because the changes I have made to my local blockchain will be rejected by the network consensus which knows (as I don’t have the correct private keys) that I don’t have ownership of those five extra bitcoins. How are Bitcoin and Ethereum different? Bitcoin was the first true cryptocurrency and has been in circulation since 2009. Ethereum is a far more recent development, going live in 2015. In the time between Bitcoin and Ethereum’s release, lots of other cryptocurrencies emerged. Mostly, however, they were limited to trying to improve on aspects of Bitcoin’s performance – for example, increasing speed of transactions or improving the security or anonymity of transactions. Ethereum is certainly faster than Bitcoin – with transactions typically settling in seconds, rather than minutes. But it also takes things further. While still blockchain based, and operating as a store of value, its fans and evangelists see it as a platform for distributed computing, which comes with its own built-in currency, called Ether. While the Bitcoin blockchain can simply be pictured as a database of accounts (or wallets) with an amount of currency stored in each, the Ethereum network blockchain is a more sophisticated construction, capable of storing computer code – applications – that can use the CPU power going into the network to execute. 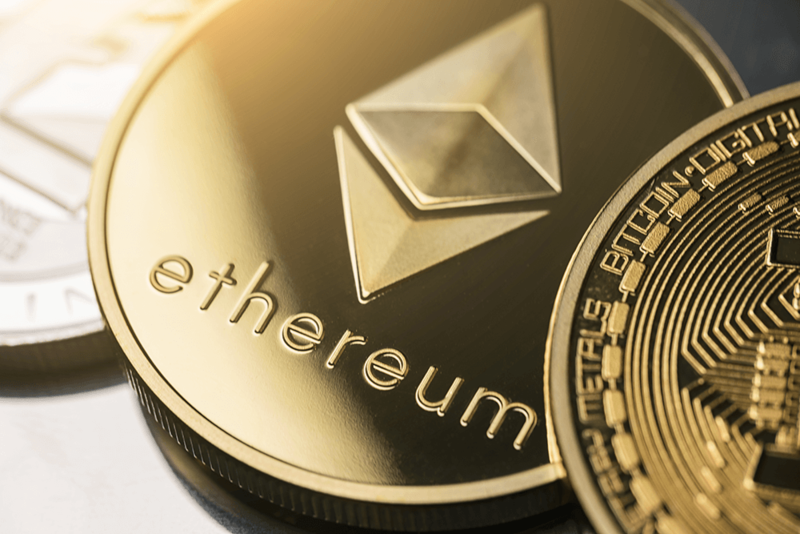 The currency – Ether – represents this CPU power – so the idea is that Ether will be bought and sold by businesses, governments or individuals to allow them to tap into the vast, distributed resources of the Ethereum network to run their own apps. The first of these applications are known as “smart contracts”. This is a way of automating contracts and agreements so they will execute when consensus says that conditions have been filled. Though simple, their uses are potentially widespread – such as enabling payment systems which will release funds on completion of work, or authorising the transfer of ownership of good when payment has been made. The Ethereum network also allows the creation of other cryptocurrencies, or tokens, using the same protocol as Ether but distributed on different blockchains, which can be public or private. This means they can be created by organisations to represent shares, voting rights or as means of proving identity or authorisationcredentials. Should I invest in Bitcoin or Ethereum? Well, as I am not a financial advisor I wouldn’t tell you where to put your money. What I can do is suggest some things that you should bear in mind, if you are looking to make speculative investments in cryptocurrency. Ultimately, the long-term growth of any cryptocurrency (or indeed business) depends on useful applications being found for its assets. If Bitcoin goes on to become a widely accepted form of currency, or the Ethereum network becomes an established standard for distributed computing, then the value of these assets is likely to continue to grow. On the other hand, in technology, there is always something snapping at the heels of the front-runners. Newer and more efficient algorithms could replace either Bitcoin or Ethereum. Additionally, both face the threat of government regulation. The value of many cryptocurrencies (including Bitcoin and Ethereum) have moved downwards since the start of the year, which has been attributed to threats of their trade being regulated by governments in China and Korea. What is clear is that the huge increases in value we have seen over the last five years has largely been due to speculative investment – people buying them in the hope that they will be able to sell them for more money to someone else in the future. This is often a recipe for inflated prices and an inevitable crash back down to earth – something that many believe could happen at any time and may have already started. Ultimately, achieving sustainable growth will be dependent on useful applications. More businesses accepting Bitcoin as a method of payment, and more applications becoming widely used and supported on the Ethereum network.